Cerevo Inc., an Internet connected consumer electronics manufacturer headquartered in Tokyo, Japan, announces an upgraded and redesigned Taclim, with a concept focusing on haptic experiences. Taclim, the world’s first VR shoes and gloves with built-in tactile devices for haptic feedback, was unveiled at last year’s CES. A new almost-final prototype will be exhibited at CES 2018 which runs from 9th to 12nd January 2018 in Las Vegas, Nevada, United States. The new Taclim is scheduled to be available for purchase in mid 2018. 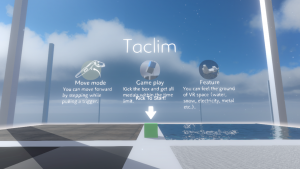 Taclim is a set of VR shoes and a customizable module capable of detecting user movements as input and translating in-VR action to real world haptic output, adding a new dimension to existing VR spaces which are mainly focused on visual and aural experiences. Cerevo has skillfully developed customized tactile devices enabling haptic feedback for the user’s hands and feet according to images and sounds in a VR space, allowing users to become more engrossed in the action. The built-in tactile devices can freely change the strength of feedback, so a sense of stepping on different ground in a VR space such as desert, grassland, water and more can be achieved with Taclim. While Cerevo announced this product at CES in January 2017, because of continuous development throughout the year as well as findings gained and feedback received from many industry stakeholders and public audiences, Cerevo has made major improvements to the product and focused on a new concept for Taclim heading towards its release in mid 2018. Since the time of the product announcement last year, the VR glove part has been modularized as the “Taclim Module” allowing it to be integrated or attached to other products. 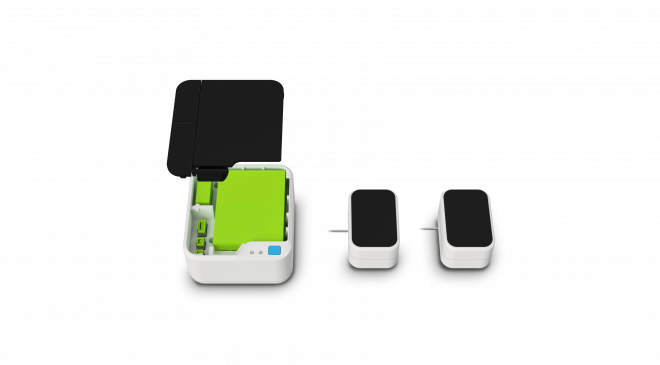 Taclim Module is a feedback module with built-in Wi-Fi, a 9-axis sensor and tactile motors. The Taclim Module can be integrated into other hardware making it easy to develop a dedicated VR controller that can generate tactile feedback tailored to specific content. 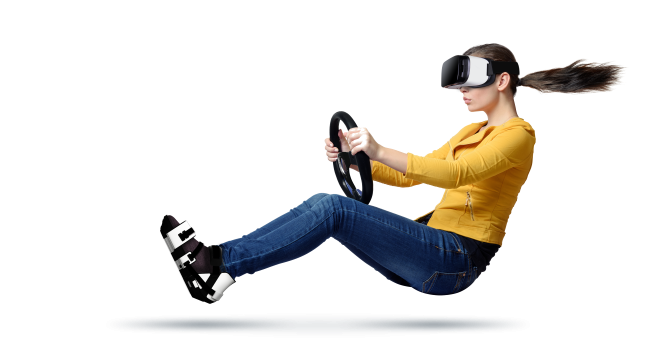 Using Taclim Module, device manufacturers can easily produce new VR controllers utilizing tactile feedback and develop VR content beyond what is possible when using existing controllers. The Taclim Module is divided into a communication unit equipped with an acceleration sensor and a tactile unit, it is also possible to use multiple units together. In addition to having a Taclim Module in each hand, attaching it to a waist, back, weapons, armor, tools, etc., you can greatly enhance tactile feedback sensations over a players’ whole body. The communication unit and the tactile unit are connected by a cable, and you can extend the length of the cable by replacing it with a commercially available extension cable. In addition, GPIO terminals are available for connection with external sensors, making it possible to use Taclim by utilizing information acquired from GPIO compatible switches and sensors. For example, in addition to the original specification of reproducing tactile sensations when holding Taclim Module in your hand, by attaching the Module’s tactile unit to a steering wheel attachment, the feedback of the road surface and engine vibration when driving can be felt, or by attaching it to a gun type attachment you can reproduce the recoil effect of firing a gun. In addition, with GPIO you can expand the world of haptic feedback, such as enabling vibration and recoil according to the timing of pulling a gun trigger. The VR shoes have also been significantly redesigned, and a physical foot switch has been mounted on the back of the foot. By combining with the existing 9-axis sensors, the accuracy of walking has been greatly improved. 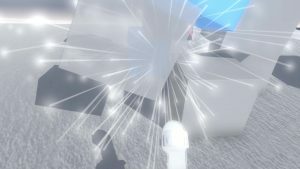 Parts of the heel can be exchanged, and by attaching a third-party tracker such as HTC’s “VIVE Tracker”, a room scale VR space can utilize actual movement. Cerevo adopted the customized tactile devices inside Taclim in collaboration with Nidec Seimitsu Corp. By installing tactile devices on the instep part in addition to the sole of the shoe, the shoe part reproduces not only the feel of touch when walking but also the feeling on the instep of the foot when kicking an object. 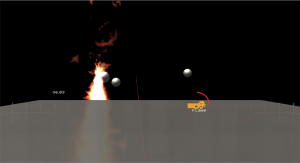 The development environment for Taclim is provided as a Unity plug-in, allowing developers to freely develop content using Taclim as an input/output device. You can also create your own tactile data by defining basic haptic feedback as sample data, or by importing files in WAV format. In addition to being able to freely create tactile data with sound editing software, Cerevo also offers a dedicated software application for creating tactile data. 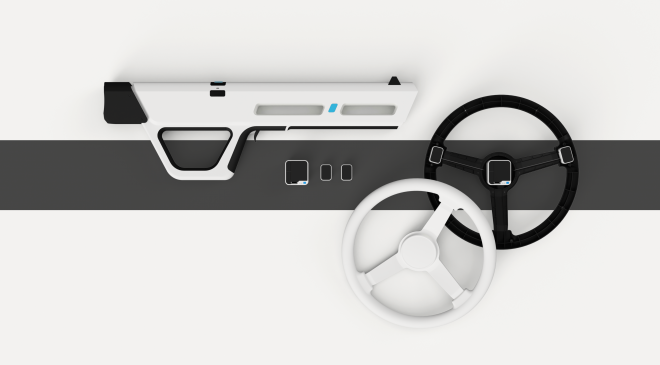 At CES 2018, Taclim’s redesigned final prototype and a gun type controller with Taclim Module built-in will be displayed. 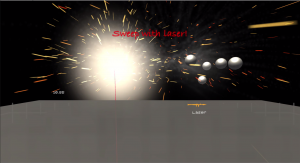 You can experience tactile feedback of multiple weapons such as machine guns, flamethrowers, or laser guns with a single device. Also, Cerevo will demonstrate an alpha version of a VR game “Taclim Block”, newly created for Taclim and developed by Synamon Inc. In the demo you can walk around the VR space freely and at the same time can feel the feedback that is transmitted through the tactile devices. Creative startup involved in the planning and development of products in the XR area, including VR. Cerevo Inc. (Consumer Electronic REVOlution) was founded in 2008 and is located in Tokyo, Japan with a branch office in Redmond, WA, USA. Cerevo is a small batch company focusing on making unique networked devices and connected solutions for both consumer and professional users based on its “Global Niche” concept. Cerevo’s products have been recognized globally and are sold in more than 65 countries.